Before you close down 'Outlook', rip off your tie and charge down to your local for some Friday-night fun, ponder this: Alcohol-related admissions to Haringey hospitals have doubled in the last four years; and the pattern is repeated all across the capital. Getting embarrassingly drunk has been the English national pastime since Caesar cracked open a can of 'spesh' in 55 BC. 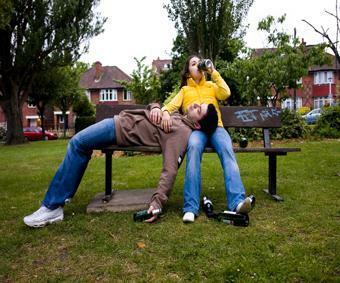 But changing drinking patterns are making alcohol's effects on Londoners' health even more severe. Paradoxically, the rising price of drink in pubs could be to blame – people are getting tanked up at home before leaving the house, leading to fights, injuries and ultimately health problems later down the line. Two thirds of the people treated (an average of 15 people a week in Haringey alone) suffered injuries or alcohol poisoning as a result of their efforts: the rest experiencing illnesses as their bodies rebel against the pints and shots chucked into them over the years. Photo courtesy of Photographic Index's Photostream under the Creative Commons license.